British Gypsum's Gyproc Thermaline Insulated Plasterboard range is available from Insulation Warehouse , The Thermaline plasterboard product range consists of three different types of Thermal insulation laminated to a 2400x1200x9.5mm Tapered edge plasterboard apart from the Thermaline Plus which uses a 12.5mm thick plasterboard. These Thermaline laminated boards were designed to provide additional Thermal Insulation , fire and acoustic performance along with impact resistance and in certain situations can allow for an open cavity to be left to allow the moisture and air to move in the cavity. Gyproc Thermaline Basic:- This Insulated plasterboard consists of ivory coloured gyproc plasterboard bonded to white Expanded Polystyrene Insulation which is both CFC and HCFC free. This board is generally used where just the basic level of additional insulation is required in refurbs etc. This Thermaline insulated plasterboard is available in overall thicknesses of 22mm, 30mm and 40mm. Gyproc Thermaline Plus:- This Thermaline plasterboard is made up of an orange coloured Extruded Polystyrene Insulation bonded to an ivory coloured gyproc wallboard it again is both CFC an HCFC free and the closed cell structure of the insulation provides an integral vapour barrier, suitable for use in new build and refurbishment of old buildings where medium to high thermal performance is required. Available in overall thicknesses of 27mm, 35mm , 40mm and 48mm. Gyproc Thermaline Super:- This Insulated gyproc plasterboard consists of a brown coloured Phenolic foam Insulation factory bonded to an ivory 9.5mm tapered edge plasterboard , it is CFC free and has a Class 'O' fire rating and also an integral vapour barrier. This board is used where high levels of thermal insulation are required such as loft conversions etc. Available in overall thicknesses of 50mm, 60mm, 70mm, 80mm and 90mm. 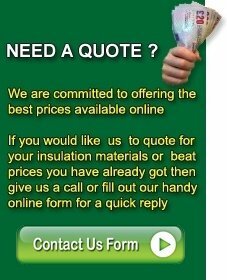 Gyproc Thermaline Prices:- For all the latest cheap prices and product enquiries or to Buy Thermaline insulated plasterboard range please do not hesitate to call our friendly and helpful sales team or fill out an enquiry form.